What is Your UBER or Zillow? Everyday technology is changing our lives. It's changing how consumers live and purchase. It's changing how companies do business and market their products. For an association, technology can be an association's best friend, or its worst enemy. Back in the day, it used to be, that only well funded companies had the resources to develop technology that could alter our economy. Now it just takes a couple of passionate college students in a dorm, with programming skills behind an idea, to make things better or more convenient. With technology being developed so fast, the question for associations is, "who is studying the marketplace, and who is spending time on your research and development, to ensure technology advancements don't rule out your association's relevance to your members?" Case in point is UBER and Zillow. Both of these apps have transformed their respective industries. Both are causing the the taxi and real estate associations a lot of heart ache over their impact. Both could have been discovered and developed by their associations. Think about the value proposition for the taxi cab associations, had they developed UBER. It would have been a dramatic increase in value for their membership. Instead, they are spending their dues dollars in court fighting UBER rather than promoting it. Zillow is causing the same type of heartache in the real estate industry, and is in direct competition with Realtor.com. My question again to every association is...."What is Your Uber or Zillow?" Private industry knows that associations make big dollars on training, benchmarking, and conferences. They are working harder than ever to use technology to capture your members. If you snooze at the wheel, innovations like Uber and Zillow will find their way into your industry, leaving you on the outside looking in. It is critical for all associations to be looking with their eyes wide open, at the changing demographics, business climate, and purchasing trends in their industry, in order to identify the "Uber" opportunity in their industry. Why you ask? Think about the value proposition and non-dues revenue impact of Uber had it been discovered and launched by the taxi association. It would have been huge. Every association has a set of young people they are looking to empower and engage in their association. This specific area is the perfect place to engage them. Establish an R & D committee made up of your younger members, and empower them to discover how the association can leverage their resources to discover your industry's "Uber". Challenge them to discover how business will be done differently in the future...how companies will interact and operate...how consumers will purchase...and how information will be transferred, related to what is important to your industry. Challenge them to develop the next wave of technology that could transform how your members get to do business and interact. Remember, technology's biggest impact is when it enhances process, tears down obstacles, or increases revenue/profits. If you sleep at the wheel, technology in itself will minimize your association's relevance over time. But if you invest in R & D, and stay ahead of the curve for your member's benefit, you will gain loyalty from your members, and a revenue stream that will sustain your association's future. Discover your Uber or Zillow today! In the world of associations, all members join your association for one reason or another. Typically they join to help them improve areas of their career or company through training, benchmarking, networking, government relations, etc. According to current association research, the #1 challenge of associations is "engaging members in the programs that can help them improve their business." That sounds so ironic given members have come to the association for help. If we, as associations, can harness the energy within our associations to help members understand they have joined an exciting place that can lead them to the answers for most everyone of their challenges, we will maximize their engagement, therefore solving many of our association's challenges. However, I believe the #1 obstacle of associations "maximizing member engagement" is their own staff. Associations are relying heavily on their volunteers to engage the members, when the members themselves have their own daily jobs to work. "Volunteer help" to engage members should certainly be expected, but not relied upon within any association. The #1 group of people who should be required to engage members in programs are your staff. When I say staff, I mean 100% of the staff including HR, accounts payable, meetings, etc. Any staff person a member could connect with in any fashion should be required to engage members. The problem with staff is usually membership interaction on programs and services typically falls to one person who is in charge of membership with smaller associations and a small department in larger associations. Here me on this... "With only one person or department in charge of membership, you will never maximize member engagement." One person or department can never have the type of interaction with the majority of your members needed to maximize engagement. If you were to have a test TODAY on those five topics with everyone not in the membership department, would they pass or fail? Think about how many times a day everyone not responsible for member interacts with members and none of them typically discuss any of the above because they don't have intimate knowledge of it. You see, when your staff can connect the five items above to the success of your members, it breeds passion for them to make a difference each day. They understand, as a staff person, WHY THEY EXIST in the organization. That what they do everyday really is life changing for people you serve. There are two main aspects that drive associations. 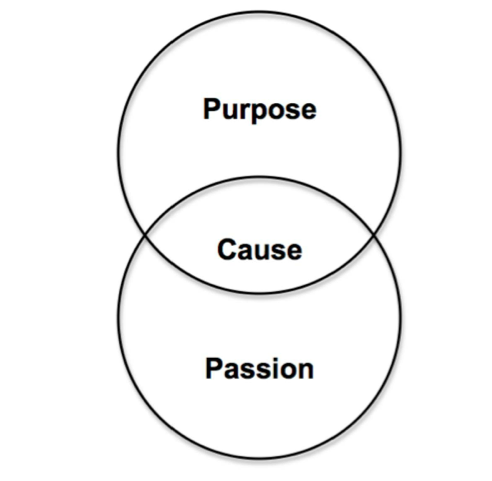 PURPOSE and PASSION. When the two intersect, you now have a CAUSE to fight for. My question is, "Does your employees understand the CAUSE they are fighting for or do they think they just have a job?" To many associations have PURPOSE and PASSION among their people, but they are not intersecting each other for the benefit of the association. I have personally witnessed this over the past 8 years within our association where equipping ALL of my staff with the knowledge they need to engage members constantly has led us to increase per member revenue 33%, annual non-dues revenue 132% and overall net worth of association 1,058%. Incredible numbers from simply ensuring ALL staff are a part of the engagement process. Make sure your staff KNOWS first had the five things I listed above about your association. At each meeting, have 1 or 2 staff members present your value proposition from their perspective and discuss it to learn the varying angles people see your association. Lastly, I would encourage you to have your association staff take my 90-Day Association Revolution Challenge in the 4th quarter of 2014. Don't let your staff go into 2015 thinking the same old way. My "live" Association Revolution Challenge Workshop has received rave reviews by boards and association leaders across the U.S. I now have an online version that makes a "staff member engagement strategy session" affordable. Take the steps to maximize member engagement today by equipping your staff and connecting the Purpose and Passion for your association CAUSE. To see our SPECIAL OFFER for $200 off the Association Revolution Challenge, visit www.AssociationRevolution.com.